Snow shrouds the Doctor Who Set, dusting a Dickensian street with a silvery shimmer while Matt Smith and a Sontaran chum rehearse and director Saul Metzstein scrutinises a monitor with the rapt attention of an expectant mum at a baby scan. But another blanket also covers the proceedings that is much more perplexing: secrecy. Fort Knox-style security always surrounds the making of Doctor Who – and no one is clearer than showrunner Steven Moffat that spoilers are so called for a reason – but his third Christmas episode, The Snowmen, warrants special measures. Security is tight, confidentiality agreements are signed and RT has been warned that prematurely breathing a word of what we’re about to see may result in a big sleep with the fishes in Cardiff Bay. Read the full article in this weeks Radio Times, out now. They bring them out earlier over the Christmas period, so That Snowman Over There is correct. Like I said in the above comment, she’s just doing a Freema Agyeman. I doubt everyone hoped they where the same character. Jenna is just going a Freema Agyeman. Playing 1 character [Adeola / Oswin Oswald] only to then come back as the latest companion [Martha Jone / Clara Oswin]. She says that they’re two different characters even though everyone hoped they were the same but im sure Steven Moffat will not disapoint. God i hope not. It is so unrealistic that that would ever happen in real life, apart from identical twins. Lazy, lazty storytelling. They should’ve got a different actress in. 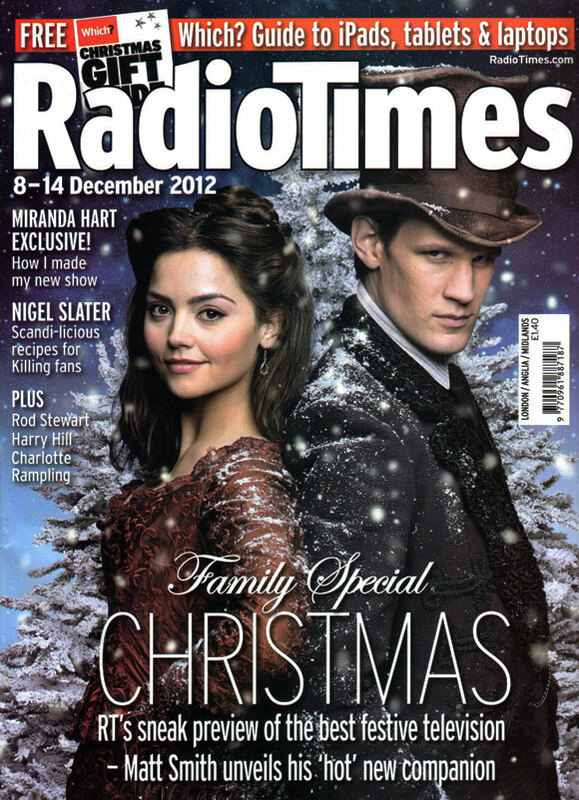 Doctor Who Magazine #455, Thursday 13th December 2012, £4.99. But it won’t be cancelled so we don’t need to do anything. What would you guys do if doctor who was cancelled? WHAT THE HELL IS WRONG WITH YOU ? !!!!!!!!!. Is it possible for a picture of the background without all of the writing on Booboo?